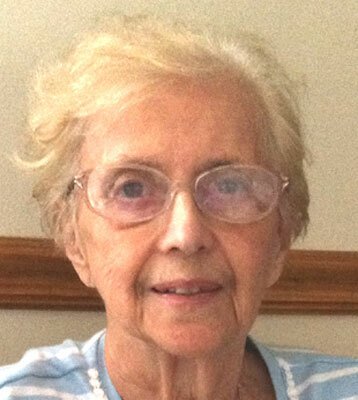 FLORENCE G. CICCONE AUSTINTOWN - Prayers will be held Monday at 9:30 a.m. at the Higgins-Reardon Funeral Homes, Austintown Chapel, followed by a Mass of Christian Burial at 10 a.m. at the Immaculate Heart of Mary Church for Florence G. Ciccone, 81, who passed away Thursday evening at her home with her family by her side. Florence was born March 21, 1931, in Oakdale, Pa., a daughter of the late John B. and Agnes (Douds) McChancy. Florence graduated from St. Luke High School in Carnegie, Pa. and later attended Duff’s Iron City Business College in Pittsburg. She then became an employee at Atlantic Richfield and HK Porter and later left to raise her family. Florence later went back into the work force and worked at Omni Manor Nursing Home in dietary. She was a devoted member of the Immaculate Heart of Mary Church and their Altar and Rosary Society. She had a love for animals and had her two cats at home. Florence’s greatest love was for her family. She lived for her them and they meant the world to her. She devoted her time to her husband, children and grandchildren. Florence leaves her beloved husband, Louis A. Ciccone, whom she married April 12, 1958; her children, Chris Ciccone of North Jackson, David (Mary Lynn) of Austintown, Patrick (Pam) Ciccone and their children, Michael, Cara and Justin of Berlin Center and Karen (Steve) Kubala and their children, Gina and Vince of Poland. Florence was also preceded in death by her brother, John “Hunts” McChancy. Family and friends may call on Sunday from 4 to 6 p.m. at the funeral home. Material tributes may take the form of donations to Angels for Animals or Hospice of the Valley.